Hierarchical clustering is a technique for grouping samples/data points into categories and subcategories based on a similarity measure. 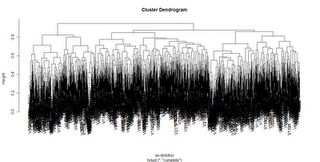 Being the powerful statistical package it is, R has several routines for doing hierarchical clustering. Xcluster is proven faster among rest of them. Make sure there is no missing values in the matrix. I used an algorithm to replace the missing values. There are few inbuilt functions in R for replacing missing values using zeros, using mean, median and linear interpolation but they are not recommended for microarray data. ctc library should have been installed prior to everything, else you will get an error. You now have a file in Newick format, but R puts quotes around the output for some annoying reason. Open the file in notepad and remove the quotes and it should be ready to use. 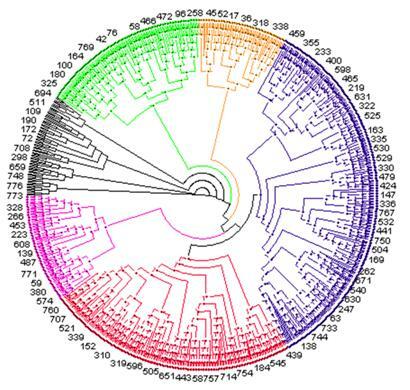 There are lots of options for computing the clustering, and they may give very different results, so proceed with caution, but in general hierarchical clustering can be a useful tool for lots of data analysis situations. I did this experiment as a part of my project and part of this tutorial was obtained from getting genetics done blog.